I’m back in the Midwest! It was a vacation full of fancy dresses as I attended a wedding in Florida. While it was a gorgeous event, I started to remember why I loved being in comfortable clothing. The Electric Slide makes my strapless bra shift, and line dancing causes my feet to hurt. And I do both of those things as often as I can! I suddenly longed for the button downs that I wear almost daily. Because of this, I decided to style 3 plaid shirts for several scenarios. All three flannels are from Old Navy and are a ‘Boyfriend’ style. Although minimal, there is a difference between the ‘Classic’ and ‘Boyfriend’ fit, so keep that in mind when shopping! See three different style options below. This look is dressed up with pumps but still feels roomy. 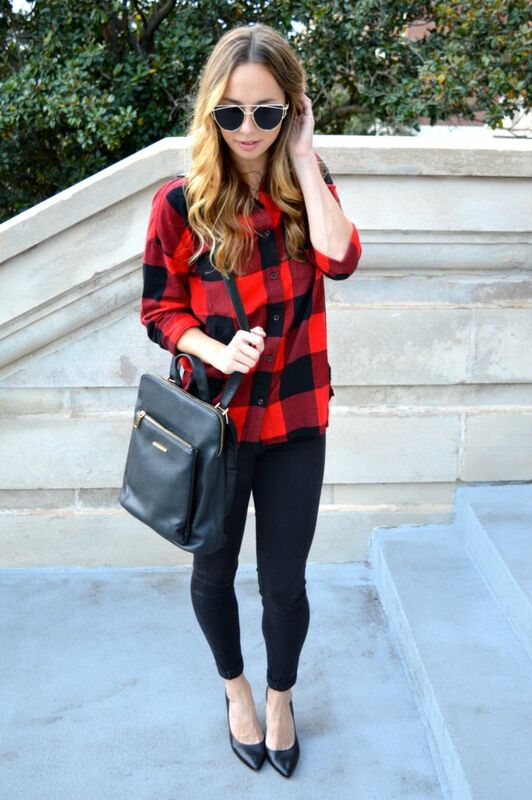 Add a chic pair of sunglasses and a bag, and you’ve enhanced a simple buffalo plaid to the next level. Now that it’s chilly, I’d recommend adding tights to this corduroy skirt. I would also suggest tucking a button down shirt into a high waisted skirt with ankle boots. 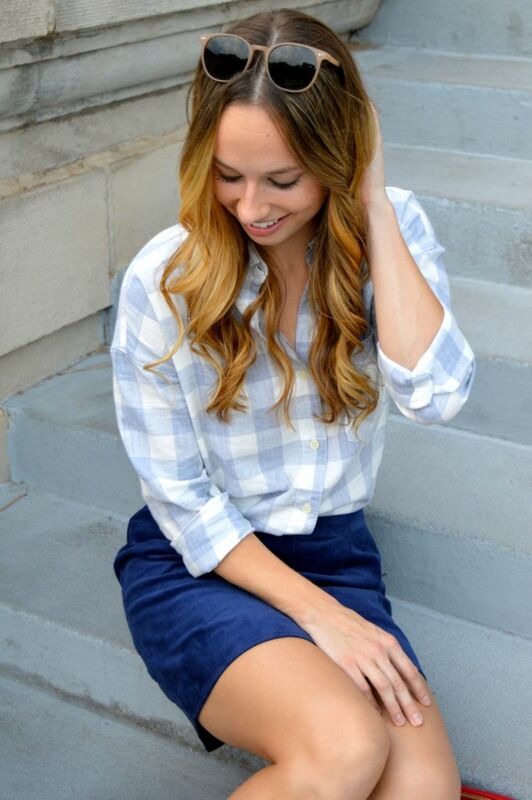 It’s the perfect way to keep the look casual while still feeling like a girly girl. Over-sized scarfs and gingham shirts are what I live for in the winter. 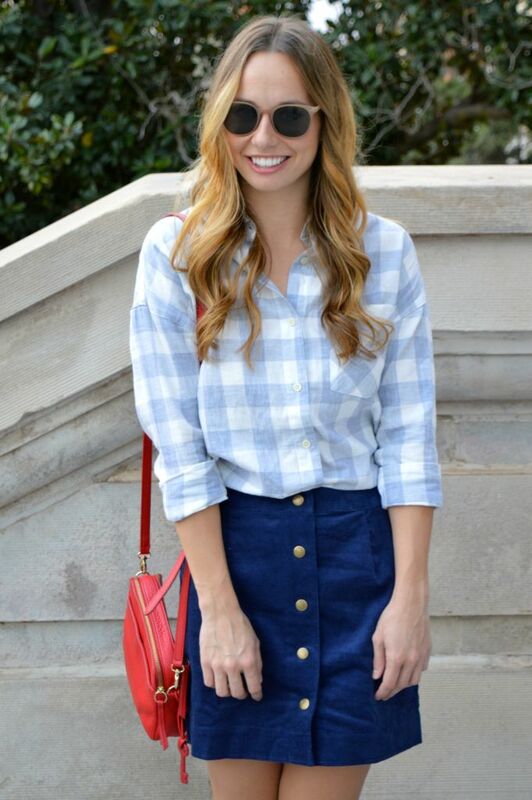 Even though I wear the blue-on-blue look often, this is definitely one of my favorite combos. 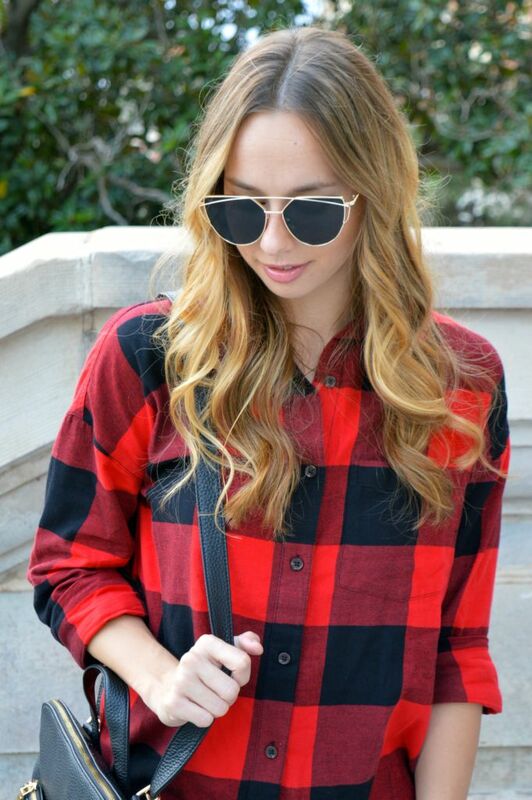 There are a million more ways one could style a plaid button down. 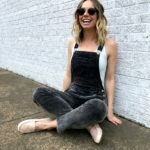 I chose three, but if you’re looking for even more inspiration, follow me on Pinterest as I delve into all the styles that seem to be trending. **For all Ilymix items, enter THECLOSETDIME20 at checkout for 20% off your purchase!